The NES – Nintendo Switch Online app has received a new update, which introduces two brand new NES games as well as some unannounced content. Alongside Zelda II – The Adventure of Link and Blaster Master, Nintendo Switch Online subscribers can also play new SP versions of Ghosts’n Goblins and Ninja Gaiden. Welcome to the extremely difficult stage 6. Have fun! You’ll start from stage 6 in this special version of Ghosts’n Goblins, and you’re armed with the rapid-fire and easy-to-use dagger. The Great Demon Lord awaits you just ahead. Can you stand the challenge? There is no need to fear as you have one more strong weapon to use: Suspend Points. But once you beat him, if you want the true ending, you’ll need to beat the game all over again! Dragon Ninja versus the demon! This special version of Ninja Gaiden starts you right before the climax of stage 6-4. With the memories of his father Ken Hayabusa and sword friend Walter Smith to guide him, Ryu faces the final fight as a true Dragon Ninja. Fight the masked devil Jaquio, Guardia de Mieux, who has awoken from his 700-year slumber. An emotional finale awaits if you manage to defeat all three of the demon’s forms! 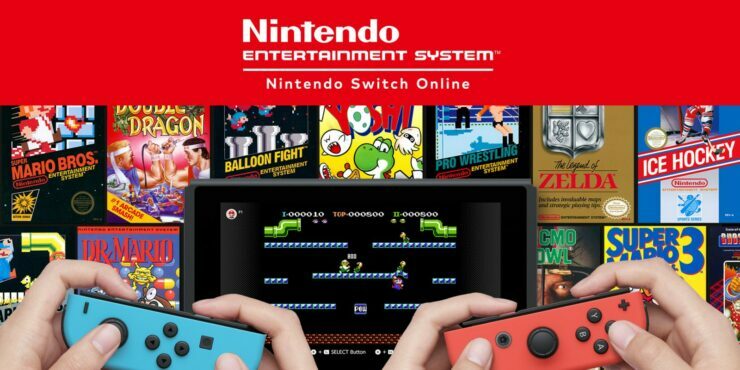 NES – Nintendo Switch Online offers a selection of NES games for all those who subscribe for the Switch Online services. According to rumors, SNES games are also coming in the near future.